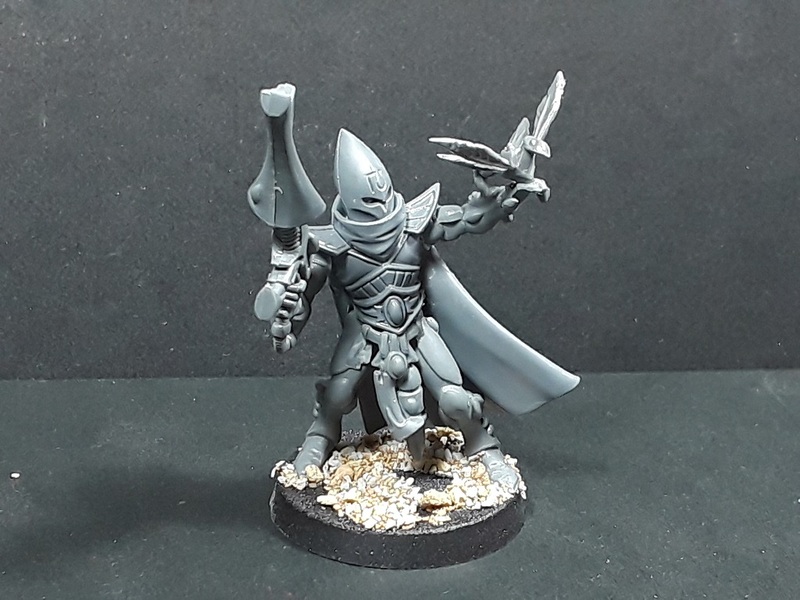 Mordian 7th Regiment: 40k Exodite Eldar - Wait, what? You ever have one of those ideas that just won't quite let go of ya? Ever since the Sylvaneth line dropped, I have always thought that the Treelord model would make for a great Exodite-themed Avatar of Khaine. I mean, just look at it! Er, yeah - That may be one that I bought and built over the weekend. I've been mulling over how to do an Exodite army for years and thanks to a wonderful Christmas gift I was able to pick one up. Of course, that got me in the store and suddenly a couple more boxes sort of accidentally got purchased. This included a kitbashed counts-as Wraithlord comprised of the standard kit, the Drycha Hamadreth kit, and a fair bit of greenstuff. 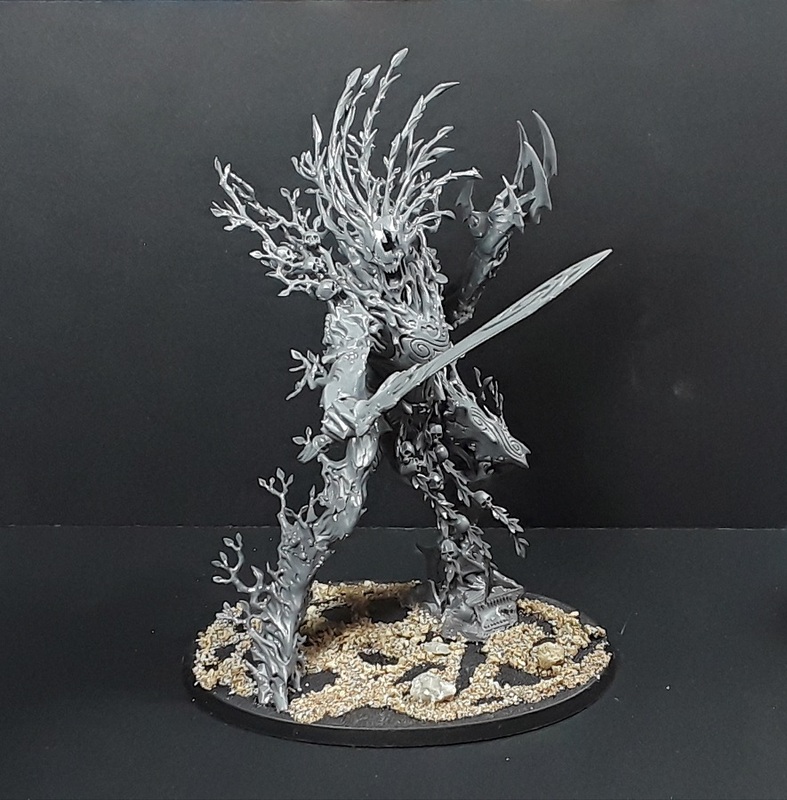 This got me thinking about the general aesthetic I wanted to go with and I'm going to veer away slightly from the usual Lizardman and Dark Elf bits and use more of the High/Wood Elf and Sylvan kits. Wood and bugs instead of stone and dinosaurs - Maybe a little unconventional, but it seemed like it could be a fun way to go! 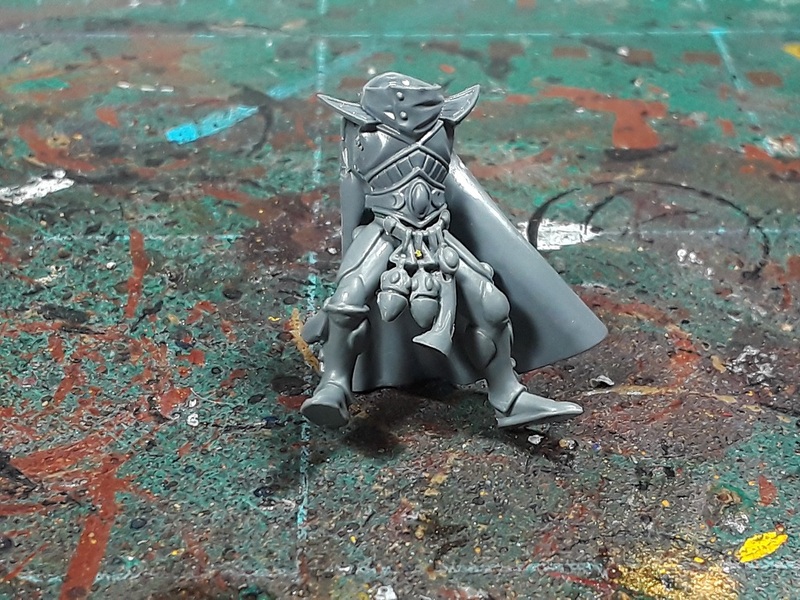 As the plan is to build a force that is a direct counts-as craftworld force, I knew I needed some guardians. I'd done the Black Ark Corsairs method with their lizardskin cloaks a little while back for the dark eldar army and didn't want to just repeat that, so after a little consideration settled on the Shadow Warriors kit as a basis for what I'm calling "Glade Guardians" (oh so poncy, just like the pointy eared gits tend to get). Haven't built up a heavy weapons platform for them quite yet as i think it ought to be mounted on the back of a beetle or spider of some variety. Gotta find the right critters! As far as it goes, they went together pretty easily. 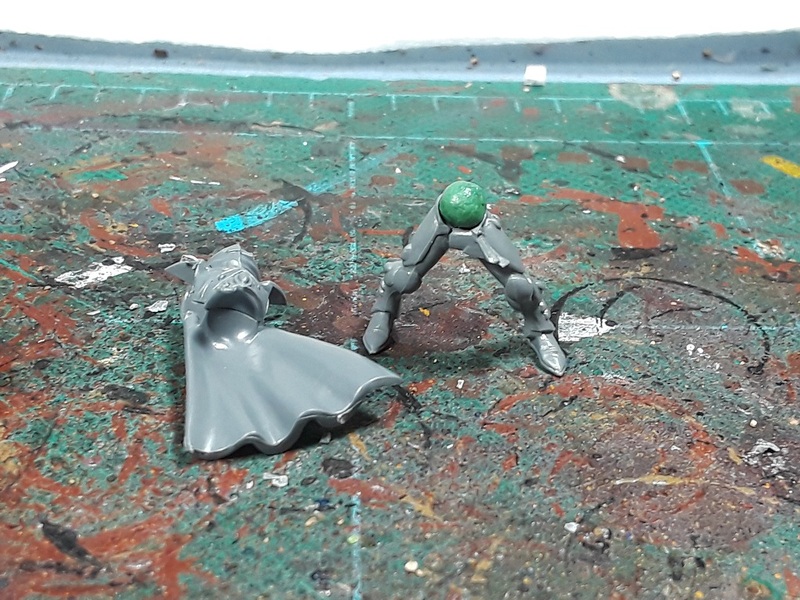 One of the gotchas is that both the Eldar legs and the Shadow Warrior torsos have sockets, but a little ball of greenstuff and they fit together nicely. Any unsightly joins are covered by the equipment belt off the guardian sprue, and with the addition of some bugs and critters here and there they read as guardians but with a naturalistic bent which I think fits the force pretty well! Still penciling together lists and pondering further kitbash combos to represent other units, but I do know I am going to keep it to a tidy little 1500 point force. Each unit is going to be comprised of two or three kits, so things will have a tendency to get pricey real quick if I just go whole hog on the project. Still, these have been a black to build so far and I'm looking forward to building more crazy Bark Eldar. Hah! Thanks man - Been fun to build so far! Cheers! Hoping to get some paint on the initial models soon! I usually take my kids with me and blame the extra boxes in the basket on them!! 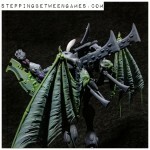 I really like the Shadow warriors conversions by the way. Cheers! Waiting for a break in the weather to get them primed then it'll be brush time! These look awesome, although the Wraithlord currently looks like he's on a world of porridge oats :) Actually might work for an Exodite world. Love the loog of the Glade Guardians, what colours are you looking at? Always a fan of the exodites! Can wait to see where you go with 'em! Thanks man! Been a long time coming, I have a vision in my head and I guess we'll see if my hands can bring it to life! Very beautiful - somehow could your (always) stunning work inspire GW to actually give Exodites some love? FLITHY XENOS -_- I love everything about these kitbashes, tell no one. Excellent work! Seems to be something in the air. Someone else I know also recently started an Exodite force. Thanks! If they have a blog or instagram definitely send me the info, always on the lookout for further inspiration! I like where this is going. 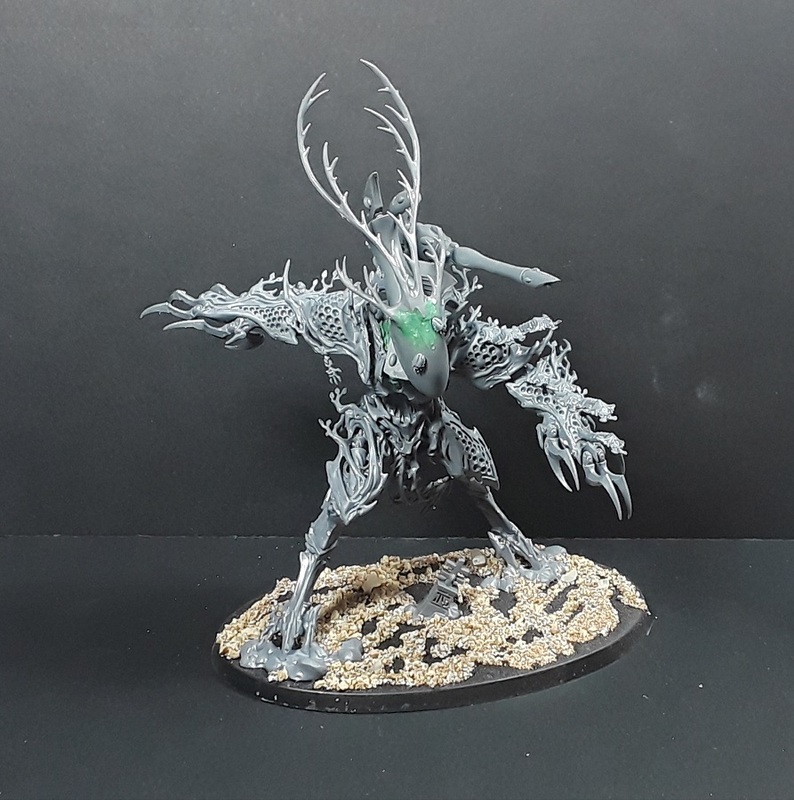 That WraithTreeLordMan rocks! Cheers, bud! Been a while since I really dug in and did some conversion work - I've missed this part of the hobby recently! That was never gonna land in the ballpark. Keep knockin' 'em out. Good stuff chief, it is always nice to see some non-power armour. Bonus that it is such a fun conversion. Crazy amounts of spares though from creating those units though. Hah! Indeed, I'm trying not to think about how actual-cost-inefficient this army is going to be. Lots of 'wasted' material, I'm afraid - But a lot of fun bashing the kits together!